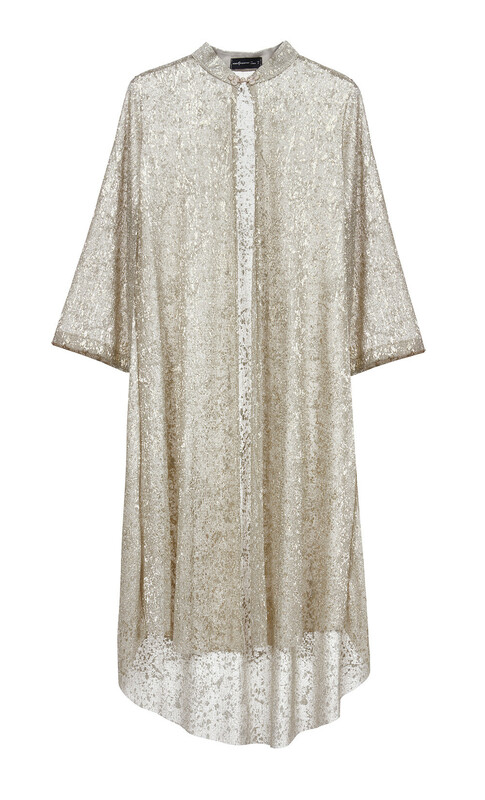 Long shimmery tunic in an easy-to-wear silhouette, crafted from golden airy pleated mesh gently glittering with same color shiny lurex. Detailed with a delicate stand up collar, it is fastened at the front with little buttons to offset the flattering soft look it demonstrates the designer's understanding of timeless clothes. Style yours for events with a little camisole and slim pants or a classic relaxed jersey dress.